"Mom, what was that recipe for that stuff Grandpa Woodward brought home from the shop?" "Doesn't Aunt Penny make that Broccoli Cauliflower salad? Do you know how to make it, Mom?" "My chili doesn't taste like yours, what type of beans do you use?" 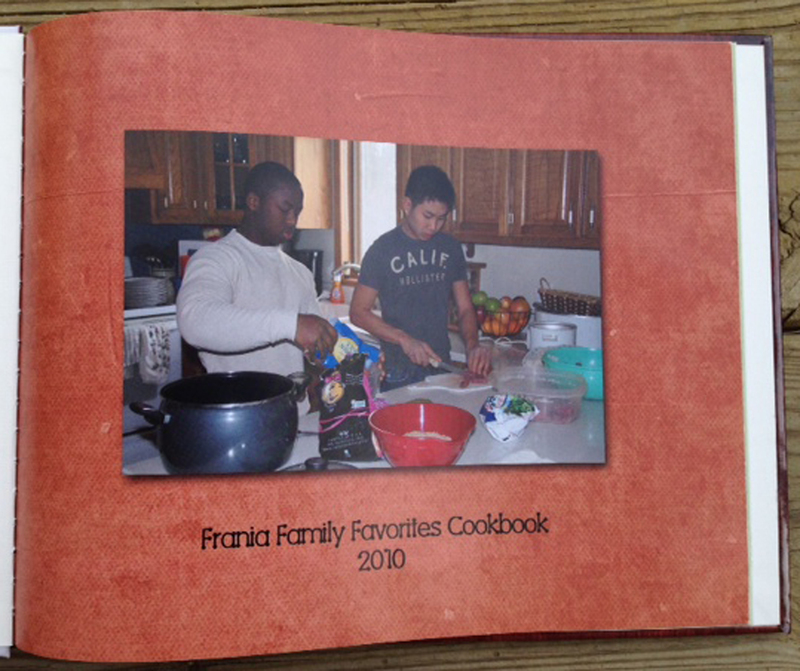 I had three teen boys our last two years of homeschooling and the last year we spent a lot of time in the kitchen. 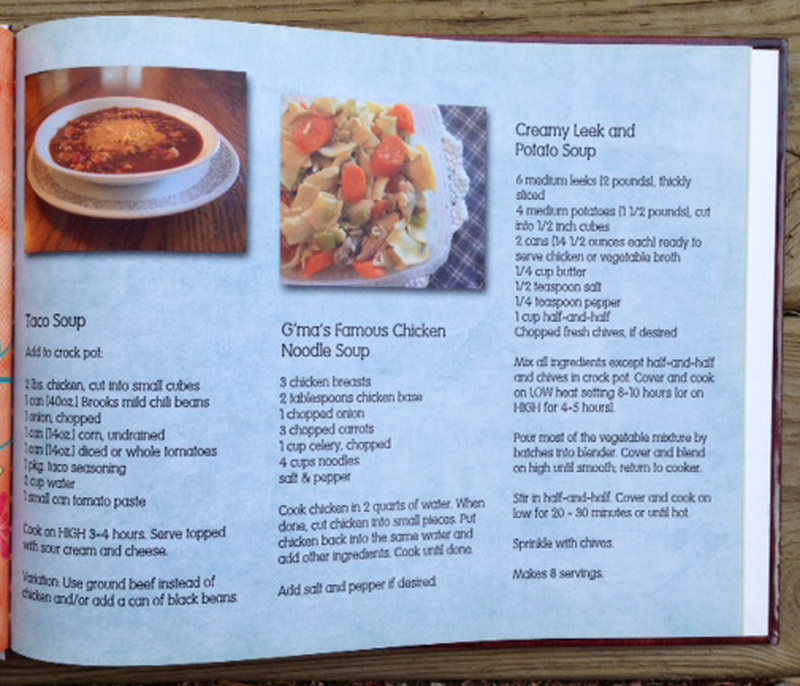 We put together a family cookbook and updated it several times. 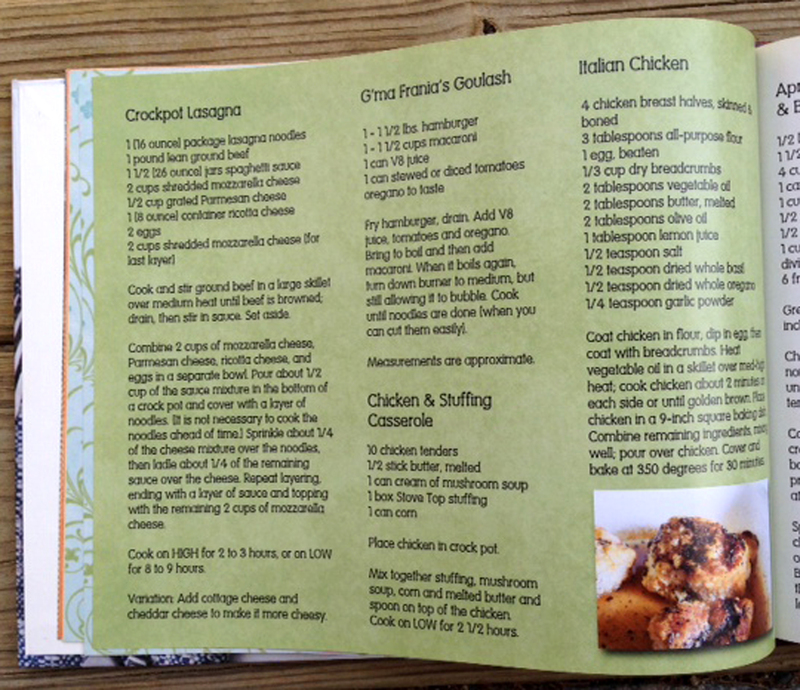 Here are a few shots of our 2010 cookbook. We have gifted it to our kids for Christmas many times over the years as each of them moved out into their own homes. Here is the cover and a few shots of some of the pages. I ordered this book from Picaboo. They had a deal at the time - buy one and get two free. If you watch closely, you can find deals like this, even free books are offered occasionally. 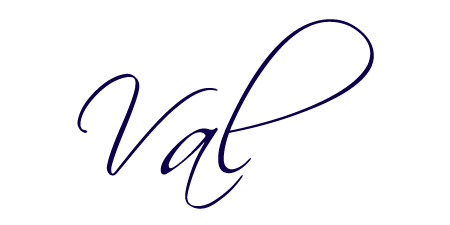 If you bide your time, you can get every book free, just pay shipping, which is usually around $8.00. When I find those deals, I usually post them on my family blog, Mom of Many. I have also used Shutterfly and Snapfish. I'm not picky - I just want a good price, free if possible, and some creative license. Today only, Snapfish is offering 2 free 8x11 photo books when you buy one - the code is 3FORYOU, exp. 10/15. 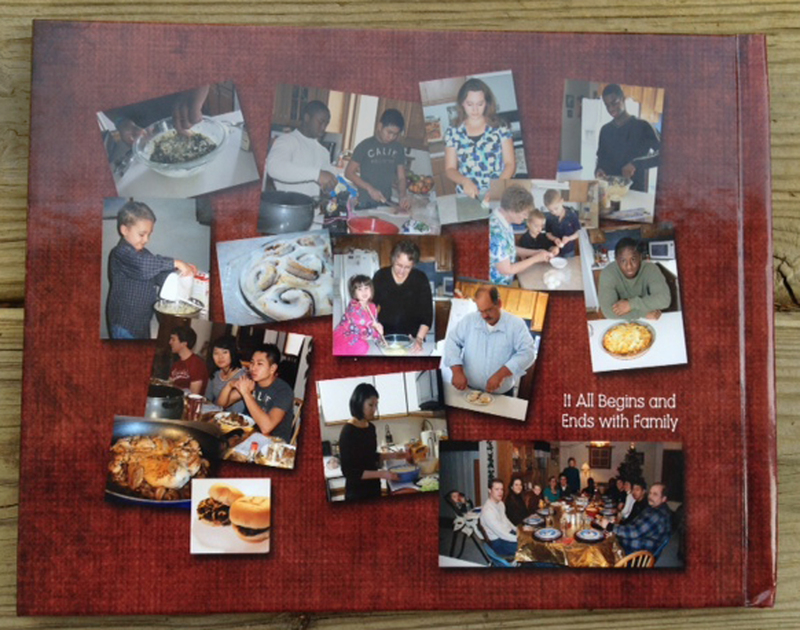 I gathered family and close friend's favorite recipes and put them together in this book along with pictures of my family members in the kitchen - most of whom were making their own dish. 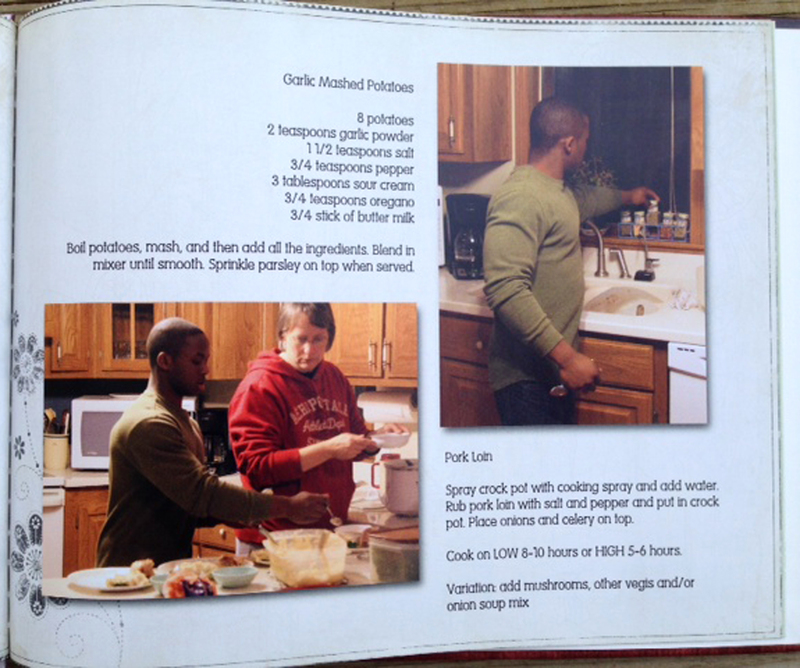 Raising teen boys was difficult at times, but when we were in the kitchen, things were different. We still talk about those days. Many childhood memories include special meals. We had 15 kids, so there was always a lot of food! We discovered taco soup that last year of homeschooling and it became a favorite. Grandma's chicken soup to this day is our comfort food. 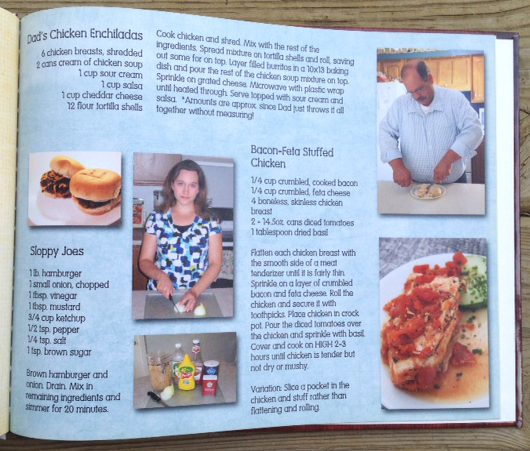 The kids often mention Dad's enchiladas. He'd come home before we were out of school and make it for us. Memories often come all wrapped up in food! 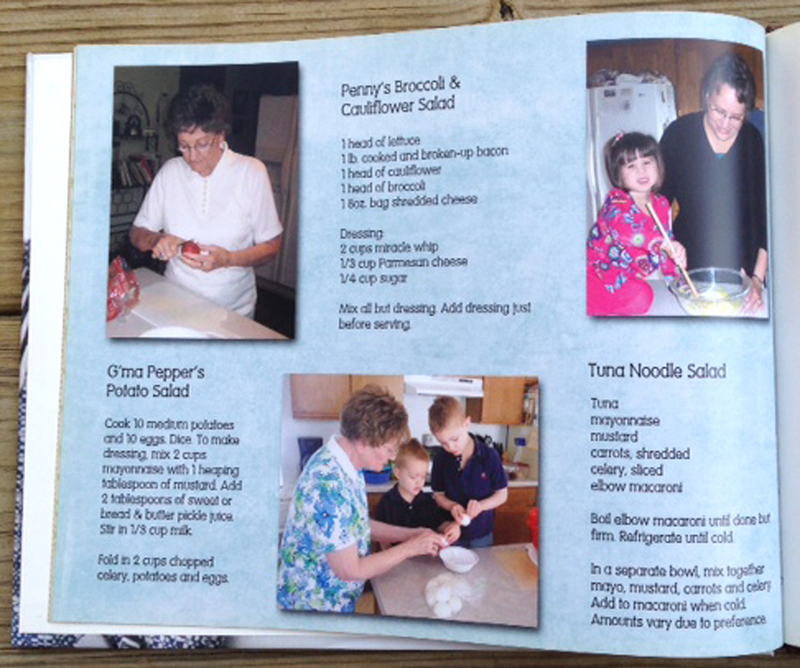 It was especially fun when we made family favorites with the grandkids in tow. Have you remembered to treasure those moments through photos? 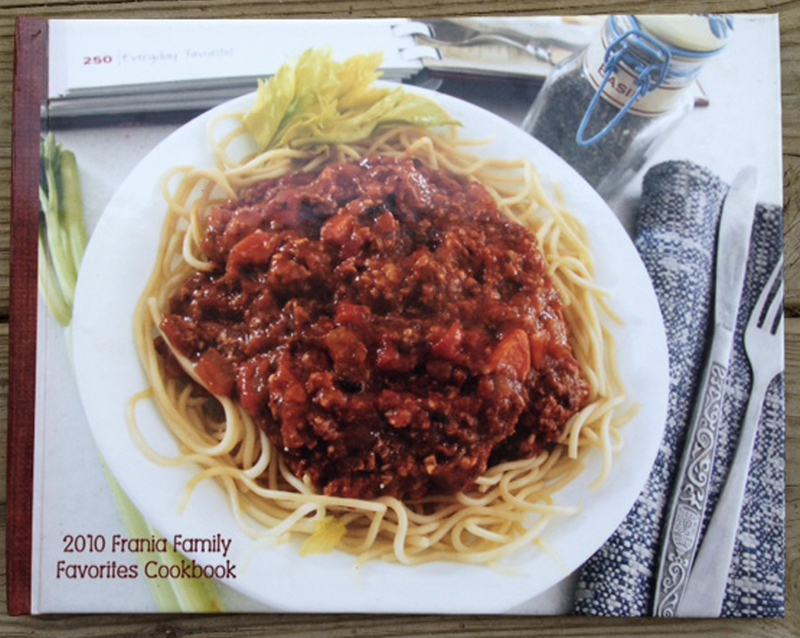 I have a bunch of DIY photo books and family faves recipe books. They're very easy to make and like I said before, can be cheap if you watch for deals. I have over a dozen of them and haven't paid full price yet. I don't love my camera because I love things. I love the memories it preserves. I love looking at my albums and recalling that special moment. I never want to forget. I want to dwell on the good times and forget the not so good times. And I want to make more. After all, it all begins and ends with family. 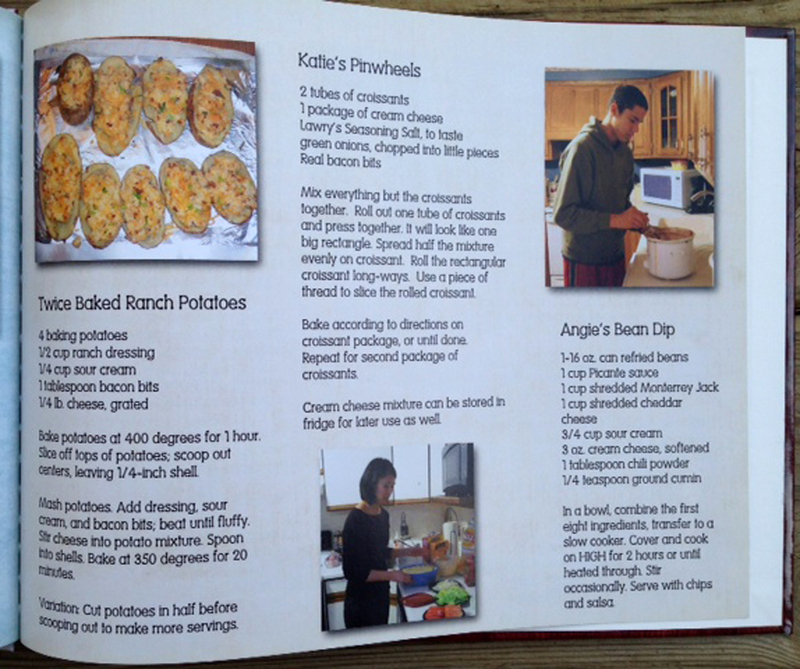 I've always wanted to do a Family Cookbook dedicated to my Mom, but never seemed to get it off the ground. Maybe this year! @ Linda…It would be a family treasure, for sure. I have two of mine in my kitchen cookbook shelf, my first one and the latest. I can’t seem to let the first one go, though others have asked for it. I’m sentimental! What can I say?